(CNN) -- "Banchao! Banchao!" Save me! Save me! A rescue worker could hear the screams of a passenger on Air India Flight IX-812, but the plane was consumed with flames. 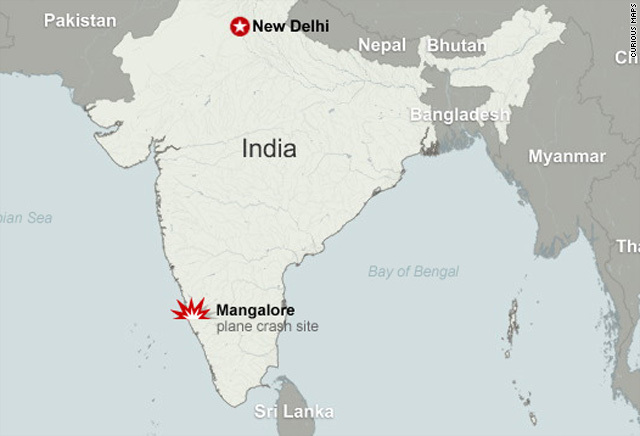 Fire was leaping in every part of the Boeing jet that crashed early Saturday in southern India. The rescue worker heard things bursting in the extreme heat, he told CNN's sister network, CNN-IBN. Then it was quiet, and he understood that no one else was alive. The Air India plane had flown in from Dubai, United Arab Emirates, carrying 160 passengers and six crew members. Among them were 19 children and four infants. Some people were returning home. An anxious young bride-to-be and a man on his way to perform last rites for his father were also on the flight. Others were migrant workers. Millions of Indians work as laborers in Persian Gulf states. Most perished, charred beyond recognition in the fiery wreckage. Only the aircraft's tail was left intact, officials said. Rescuers scrambled to find survivors all day Saturday. Mostly they pulled bodies. The eight who survived recounted their harrowing tales for CNN-IBN. Ummerfarook Mohammed said the cabin quickly filled with smoke after the jet skidded off the runway and hit a boundary wall. The impact created a hole in the plane's body, he said. He crawled out and ran for his life. Nearby villagers carted him to the hospital in a rickshaw. And then there were those who counted their blessings on Saturday for not having boarded their ill-fated flight in Dubai. Vasant Shetty's friend had booked him on the Mangalore-bound plane, but he was too busy at work and decided not to take the flight. "It's all God's grace. I missed the flight and survived," Shetty told the Press Trust of India news agency. "I don't know what to say about the ill-fated passengers who were killed," he said. "I pray for them."